18 inventions still used today in a fun online game. Use arrow keys and escape the palace dungeon. Help the archaeo-logist to find 9 types of dinosaurs. Cowboy shooting game with real Old West outlaws. Fun online history arcade games collection. This page include all history games, which are played with the keyboard or require fast reaction. Short fun arcade games including fun history topics. Fun History Arcade Games Collection. 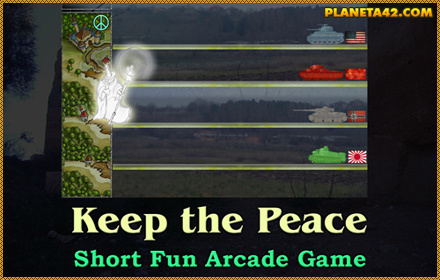 Keep the Peace Online Game - Save the mаgic realm from the invading WW2 tanks. Seven Wonders Adventure Game - Find the 7 world wonders of the ancient world. 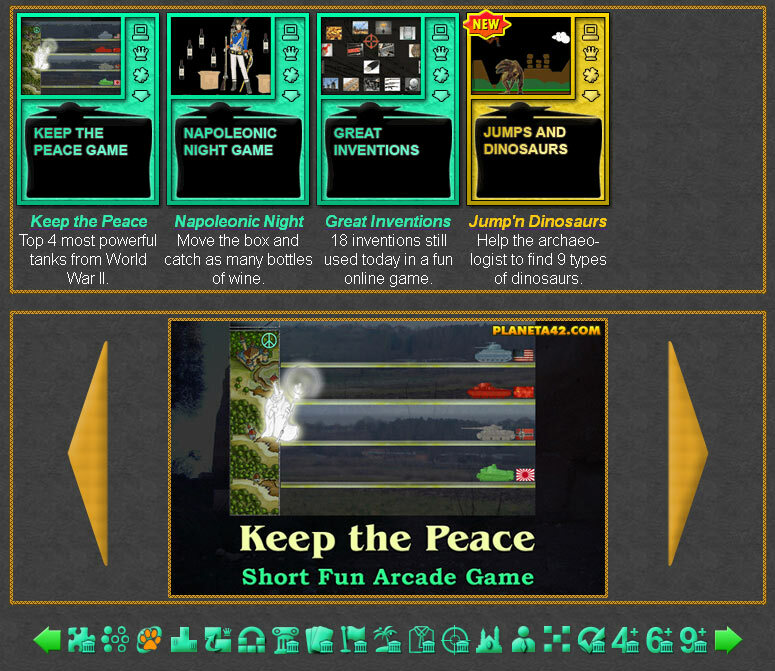 Great Inventions Online Game - Collect inventions by shooting at them. Prince of Persia - Control the prince with arrow keys and escape the palace dungeon.